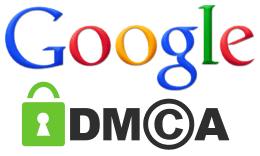 DMCA Requests Increase After Google Announces Part Of Algorithm? Home > Google News > Google SEO > Are DMCA Requests Up After Google's Algorithm Announcement? Nope. Are DMCA Requests Up After Google's Algorithm Announcement? Nope. On August 10th, Google announced that valid DMCA requests are part of their algorithms for search quality. We expected a bunch of new SEO services to come up where you would pay a monthly fee to submit your competitors sites to Google's DMCA forms. We expected that DMCA takedown requests would surge. But have they? Some say they have, but have they in response to Google's search quality announcement? Maybe not. Google's transparency report shows August 13th take down requests versus August 20th and the number is slightly down from the 13th to the 20th. In fact, it is down almost 5%. August 13th had 1,496,220 and August 20th had 1,427,369 take down requests. It is way too early to tell now but I'd expect the number to continue to rise, with or without it being part of the Google algorithm.